Netflix has announced that the second season of Marvel’s The Punisher will be available on the streaming platform in January 2019. 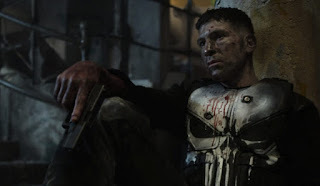 This would most likely be the final season of Punisher airing on Netflix with three of the five Marvel TV shows currently on the platform being canceled this year. Iron Fist, Luke Cage and Daredevil were pulled from Netflix, leaving just The Punisher and Jessica Jones. Both shows having already finished filming a new season.